Building a custom home from scratch can be an amazing experience. 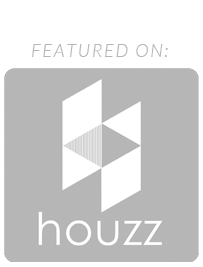 You can create your dream house and customize it to suit your needs and preferences. Nonetheless, it can be a little bit overwhelming trying to remember all the little details that will make your new house a home that you’ll love for years to come. 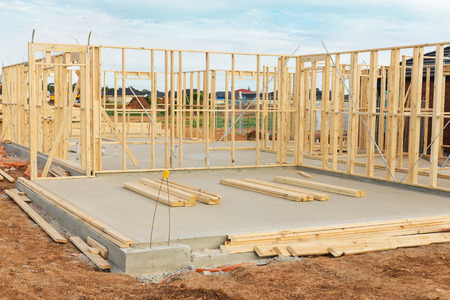 Here are some things you should try not to forget when building a new home. From smartphones and tablet computers to TVs and gaming consoles, the average American family owns dozens and dozens of gadgets. You’re going to need somewhere to plug all of them in, and there’s nothing worse than realizing you only have one or two outlets in a room full of electronics. Make sure your electrician installs lots of outlets, so you don’t have to go back and add more later. Do you want to make sure it’s simple to keep the floor in your garage clean? Install a drain in it that’ll allow you to clean it whenever you want. The drain will also come in handy when you pull your car into the garage in the middle of a thunderstorm or when you experience unexpected flooding in your area. There’s nothing worse than stepping out of bed on a freezing-cold winter morning and putting your feet down on a floor that feels like ice. Heated flooring can heat your floors up and make your entire home more comfortable. It can also heat your home more efficiently, which can reduce your energy bills. You won’t mind getting out of bed in the morning anymore when you have heated floors to greet you. Studies conducted over the last few years have revealed that more and more Americans are stashing cash and other valuables in safes in their homes. And while most people can get away with a freestanding safe, you might want to consider embedding a safe in a concrete wall if you plan on putting very valuable items into it. This is something that’ll be pretty easy to do when a home is first being built. These are just a few of the things that you should remember to install in a custom home. Scott Merle Builders can talk to you about some of the other great features you can add to your dream house. Call us at 315-409-4124 today to hear about how we can help you bring your dreams to life. What Permits Do You Need for a Kitchen Remodel? If you’re planning on painting your kitchen, installing new flooring in it, or replacing a faucet, you probably won’t have to worry too much about obtaining permits to do it. However, if you’re going to be taking on a more extensive kitchen remodeling project, you will need to get your hands on the proper permits to avoid facing fines and other penalties in the future. There are some instances in which you could even need to redo work done to your kitchen if you don’t get the right permits before remodeling it. There are a couple of permits you might have to get during a kitchen remodeling job. The first kind of permit is called a trade-specific permit. 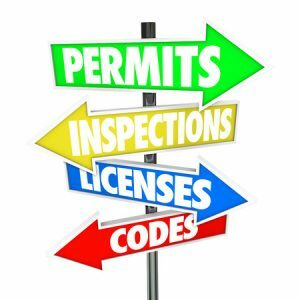 It’s the type of permit you’ll need if you’re going to be doing any electrical, plumbing, or mechanical work in your kitchen. If you’re adding new electrical components to the space or moving your plumbing around, you’ll need to apply for a trade-specific permit to do it. You can usually get this permit within a matter of just a few days without much of a fuss. The other kind of permit is called a building permit, and it’ll cover you in the event that you’re going to be taking out or adding walls to your new kitchen. You’ll typically need to provide your city or town with your kitchen remodeling plans before you’re able to get this type of permit. 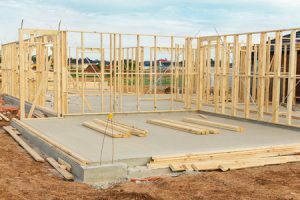 You may also need to obtain both a trade-specific permit and a building permit if you’re going to need to do electrical or plumbing work while putting up or tearing down walls. As you might imagine, it can be a huge hassle to get permits prior to starting a kitchen remodel. Scott Merle Builders will make things easier on you by getting the right permits for any project you ask us to do. Whether you want us to remodel your kitchen or renovate another part of your home, we’ll make sure we get the proper permits before we begin. Call us at 315-409-4124 today to find out more about our home remodeling and renovating services. Have the energy bills for your home gone up dramatically over the last year? It could indicate a problem with your HVAC system. It could also be a sign that it’s time to consider replacing your windows and doors. However, more often than not, rising utility costs are closely tied to an issue with a home’s insulation. The insulation in your home might not be doing a good enough job, which is forcing your HVAC system to run all the time to heat or cool your property. Here is a quick overview of home insulation. Insulation is a barrier that’s placed in the walls, ceilings, and floors of homes to prevent both heat loss and heat gain. 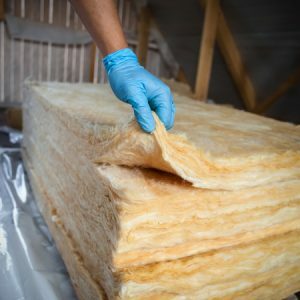 Insulation can be made using a bunch of different materials, including fiberglass, mineral wool, polystyrene, cellulose, natural fibers, urea-formaldehyde foam, and more. Home insulation is important because, without it, air from inside your home will work its way through your walls, ceilings, and floors and end up outside. This will prevent your home from ever getting as hot or cold as it could be when you’re running your HVAC system. You could potentially cut your energy bills by more than 30 percent with the right insulation. Because home insulation can be made from several materials, there is a chance that your insulation could last anywhere from just a couple years to more than a decade. But it’s important for you to remember that insulation doesn’t last forever. It may wear out over time and stop doing its job. It may also get damaged if it’s ever exposed to moisture and need to be replaced right away. How can you check your home’s insulation levels? It’s usually not possible to check the insulation levels in your home’s walls and floors. Nevertheless, you can climb up into your attic to see what kind of condition your insulation is in. Generally speaking, home insulation should be approximately 10 to 16 inches deep for it to function properly. You can also call on a contractor to come out and look at your insulation if you’re unable to do it yourself. At Scott Merle Builders, we understand the importance of home insulation and strive to provide our clients with the best insulation in the business. Call us at 315-409-4124 today with any questions you might have about insulation or home renovations as a whole.